Urban Development Minister and Dharamsala legislature Sudhir Sharma rejects all claims of hitch in the development of the Central University in Dharamsala, and claimed that it will be established as proposed. He said that the Central University was allotted by Sonia Gandhi for Dharamsala in 2007, and it shall be developed only in Dharamsala. 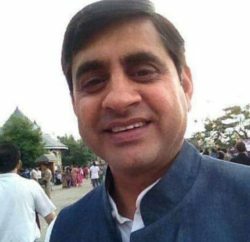 He ruled out other congress leader version regarding land availability in Dharamsala, he said that Dhramsala can provide adequate land and if it is required, a wing can be given to Dehra town in Kangra district, he commented. He said that for Central University 200 acre of land is available here. Sudhir Sharma said that the land previously allotted for Central University in Dehra town has allegedly been grabbed by the land mafia and a probe has been ordered in this matter. Dismissing the idea of setting university campus for each town, he said it is technically not feasible to have separate university campus for two places. 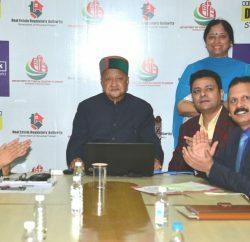 The Minister said that in order to reduce the mounting pressure of construction in Dharamsala town, Congress-led state government has decided in principle to set up a new satellite town near Chaitru with all modern facilities and civic amenities.